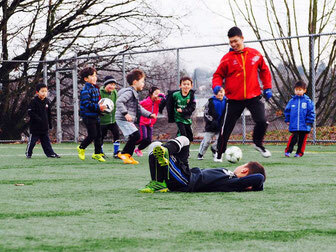 The highlights from the last day of the Brissy Football Academy in Vancouver, Canada. A training session for U14's at Lourdes Celtic in Dublin, Ireland. I'm having a bib on and play and coach them as I can still smash them with the ball. The highlights from one of the Tuesday sessions for an U9 side of Terenure Rangers in Dublin. This is the short clip from the first ever holiday soccer clinic in January, 2018 in Dublin, Ireland. The last session with the kids in Dublin, Ireland with three senior players turned up and help me wrap it up with full of fun in Jan, 2018.